If you’ve been paying attention to the career of Christian Slater since he came onto the scene in 1977, you would know he is one of the best actors alive today. The actor has featured in several films and television shows, including the modern classic, Mr. Robot where he plays the lead role. Over time, as his career grew, so has the interest in his personal life which leads us right to Brittany Lopez who he is currently married to. Christian Slater’s marriage to Brittany Lopez is interesting for a couple of reasons other than it being the marriage of a famous actor. One, she is 18 years younger than the actor but the generational difference doesn’t seem to matter to the couple who have been married for over five years. 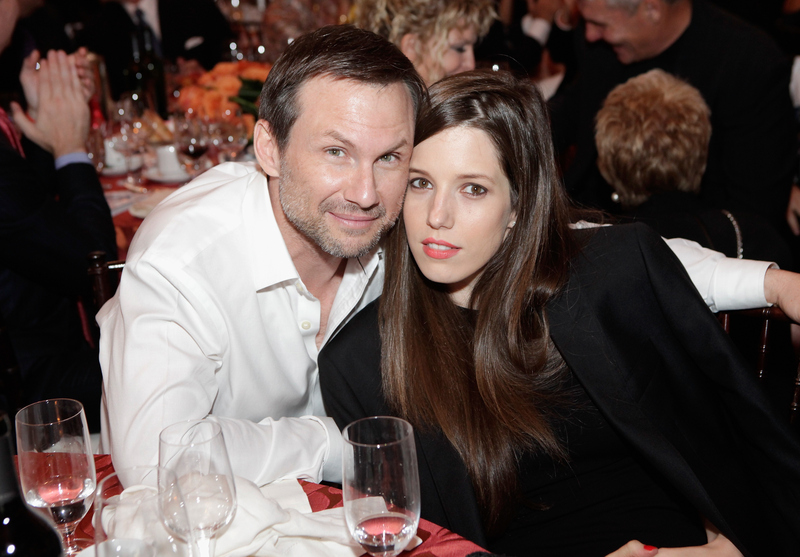 Considering how familiar fans of Christian Slater are with his professional career, let’s take a look at who his wife, Brittany Lopez is in this article. Read on. Before the machinations of fate brought Brittany Lopez and Christian Slater together, Brittany was a regular girl who lived a regular life. She was born sometime in 1988 to Albert Lopez. The identity of her other parent is unknown, neither is her birthplace. For her education, Brittany Lopez attended Carleton College after graduating from high school and studied Economics and Literature. While in college, Brittany developed an interest in arts and design and eventually found herself working in a museum shortly after she graduated college. Until Brittany Lopez got married to Slater, she worked as an assistant director at the Museum of Contemporary Art for a couple of years. Eventually, the change in public status led to her resignation from the role. Getting married to Christian Slater has most certainly changed the status of Brittany Lopez in great ramifications, particularly financially. While we do not have her exact net worth, we know according to statistical report that assistant directors in Museums in the United States earn an average salary between $30 to $70 thousand. Comparatively, her husband is worth over $20 million having had a career that has spanned over forty years. Christian Slater’s filmography boasts of a number of financially successful films like Robin Hood: Prince of Thieves, Star Trek VI: The Undiscovered Country, Soldiers of Fortune, and television shows like Alias, The Forgotten, and most recently, Mr. Robot which he has been starring in as a lead character for three seasons. For every relationship, the story of the first meeting is often as important as the relationship journey itself. It is one that is told many times to siblings and children as a symbolic anecdote of the love in the relationship. In the case of Brittany Lopez and Christian Slater, their first meeting is that of embarrassment and mistaken identity. As told by Slater himself, the couple met for the first time in a cafe which was notorious for being a preferred spot for a marriage proposal. While Slater was there having a nice bowl of oatmeal for himself, he noticed his future wife going down on a knee in front of an older woman in what he assumed was a proposal between two lesbians. Unfortunately, his assumption turned out to be wrong as his gesture at expressing his congratulations to the couple was met with bewilderment and confusion. The laughter and camaraderie created by the incident eventually led to their first date. Their first date eventually led to several more dates and eventually led to a full-blown relationship that culminated in a marriage on the 2nd of December, 2013. Interestingly, Brittany Lopez and Christian Slater never took the route of an elaborate wedding. They simply went to a courthouse in Miami and got married, and they have been together ever since. Although their relationship has yet to bear a child of its own, Brittany Lopez is a stepmother to two children from Slater’s first marriage – Jaden Christopher Haddon-Slater and Eliana Sophia Haddon Slater. The children, a boy, and a girl were born in 1999 and 2001 respectively. She has dark brown hair and eyes. Lopez doesn’t have a social media presence, unlike her husband who has an active Instagram account, @realchristianslater.